The 1T wheel loader XG 9161 is priced economically, perfect for clients on a budget. An efficient but powerfully engineered machine, it comes equipped with a horizontal boom cylinder that generates colossal force upon impact. Coupled with a built-in self-leveling bucket for improved dumping, work has never been so efficient. 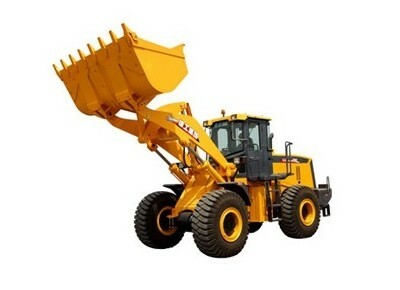 XGMA also offers utilitarian maintenance design features with the wheel loader. It is fitted with XGMA exclusive transmission technology that utilizes a torque converter assembly to ensure efficient hydraulic oil control. In addition, it is designed with an intuitive front-hinged bonnet. Maintenance has never been so easy. The new streamlined design, the ergonomically fit interior, and the iconic yellow exterior-this heavy machine is a powerhouse. Built with superior components from leading domestic suppliers, it is meant to last. The synergy from its torque converter and diesel engine ensures secure and reliable performance. Designed for great maneuverability and efficiency in confined spaces, our wheel loader offers an excellent steering angle and a small turning radius, all in one compact structure. Its exceptional layout design provides better power transmission, stability in performance, and ease of maintenance. For instance, the side-hinged fuel and hydraulic oil tanks are all outward adjustable. The wheel loader is also available for purchase with an interior heating system, a cold start device, and a larger bucket of 1.5 m3, based on client specifications.